Reeling from a negotiation gone wrong, FBI Special Agent April Ramos is caught off guard when a frazzled young woman shoves a crying baby into her arms, then disappears. Worry for the child’s safety quickly turns to fear when a man claiming to be the girl’s father abducts them at gunpoint. April puts her hostage negotiation skills to use to learn more about who she’s dealing with: Jason Snyder, a fugitive accused of murder. As Jason spins a tall tale about being framed for the killing of his business partner, April must sort through his claims to find the truth. A truth that becomes all the more evident after April overhears a conversation between Jason and the local sheriff and realizes something more sinister may be happening in their small town of Sweet Briar, Texas. But aligning herself with a known fugitive to uncover the burden of proof could cost April her job . . . or worse, her life and the lives of other innocent people. First – flying squirrels do exist in Texas and feral hogs are numero uno bad. Second – this is a livewire authoritative a story. Third – you’ll walk away with more than you realize if you read this book. 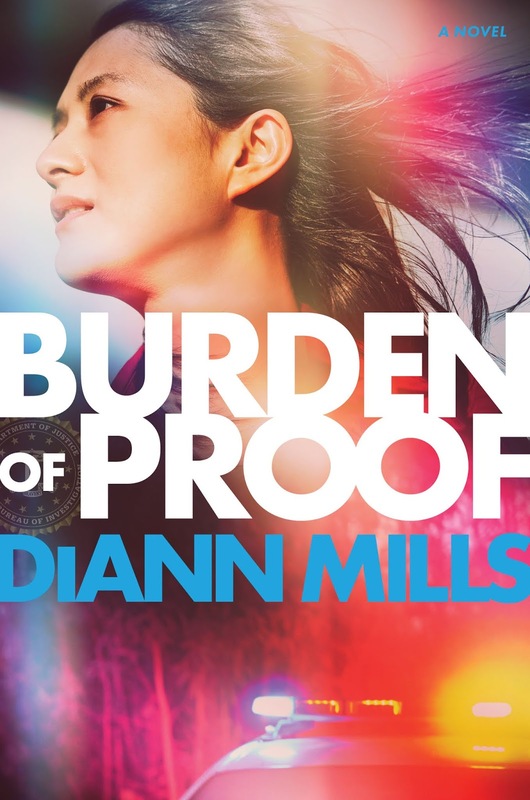 Burden of Proof is an unpredictable, livewire story written with commanding prose. From the first few sentences to the very, very last words this story took me on a moving journey that deals with a murder and a couple of kidnappings. The story revolves around Jason and April. Jason’s daughter has been kidnapped and FBI Agent, April finds herself caught up in the middle of Jason’s problems. The story becomes complicated right from the start and it evolves into a love story. Mills weaves a story that makes you believe miracles can happen in real life. Character dialogue carries this story with resounding authenticity. Yes – life can be weird. Yes – life can take you down unexpected paths. Yes – life can bring people your world that can literally change the course you are on. Sadly, corruption does exist. 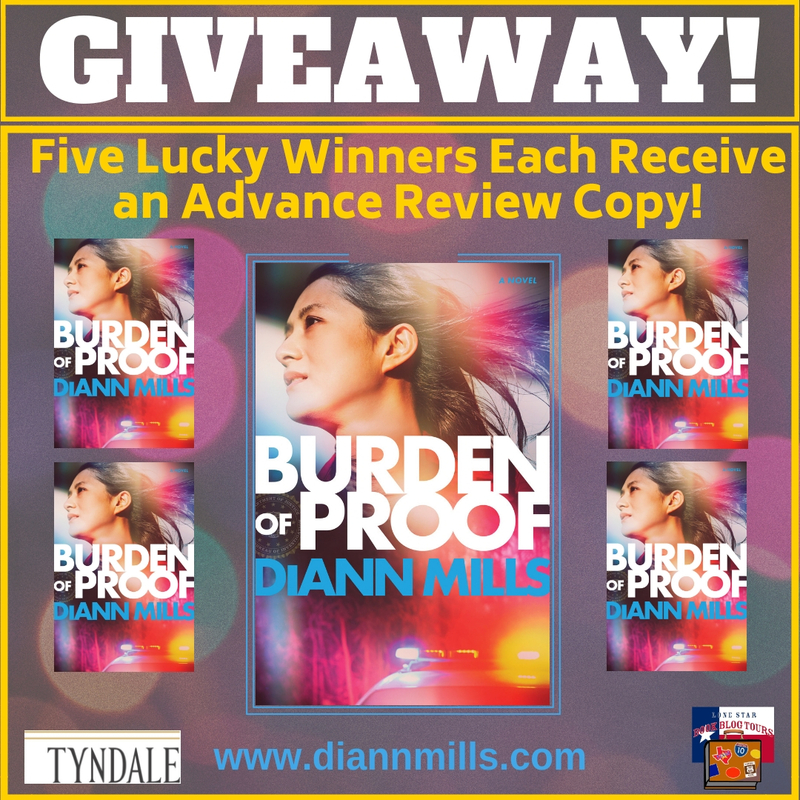 What makes Burden of Proof so believable is that it’s a story written so real that it could be a true-life account of all the characters. Yes – wild hogs are bad and intelligent. Yes –flying squirrels do exist in East Texas. I did have to look up the flying squirrel reference and see indeed these mammals are distributed in east Texas. Just wish I’d seen one or two during my time there. Words for us to live by… Thank you, Diann for that beautiful reminder. 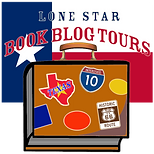 DiAnn Mills is a bestselling author who believes her readers should expect an adventure. She combines unforgettable characters with unpredictable plots to create action-packed, suspense-filled novels. Her titles have appeared on the CBA and ECPA bestseller lists; won two Christy Awards; and been finalists for the RITA, Daphne du Maurier, Inspirational Reader’s Choice, and Carol Award contests. Firewall, the first book in her Houston: FBI series, was listed by Library Journal as one of the best Christian fiction books of 2014. DiAnn is a founding board member of the American Christian Fiction Writers and a member of Advanced Writers and Speakers Association, Sisters in Crime, and International Thriller Writers. She is co-director of the Blue Ridge Mountains Christian Writers Conference, where she continues her passion of helping other writers be successful. She speaks to various groups and teaches writing workshops around the country. DiAnn has been termed a coffee snob and roasts her own coffee beans. She’s an avid reader, loves to cook, and believes her grandchildren are the smartest kids in the universe. She and her husband live in sunny Houston, Texas. DiAnn is very active online and would love to connect with readers. You’re welcome on all accounts! Loved this story. Thank you so much for this wonderful review! Appreciate you! What a fantastic review! And the book sounds equally fantastic. I will get this book on the TBR pile. Thanks for the post about it!